Bambury is known for its quality bedding, quilt cover sets, Bambury bed sheet, quilts & adornments. Bambury supplied retailers and wholesalers quality bedding, homewares and other lifestyle products. Elan Linen is online authorized retailer of Bambury. Elan Linen offered big discounts and sale to its brand lover’s customers. ElanLinen Australia is giving a chance to its online customers to buy Bed T Sheet Set By Bambury at 40% discount, starting price only 69.95$. 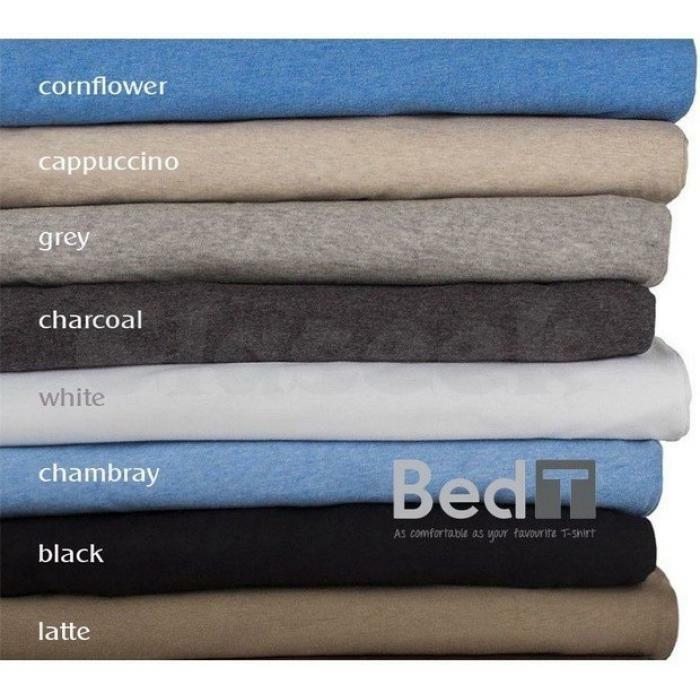 Bed T Sheet 100% combed cotton jersery knit, soft and casual bed linen, comfortable as your favourite t-sheet, cool in summer, cozy in winter. Following are the details of Bed T Sheet Set. Size: Single, King Single, Double, Queen, King. Buy this outstanding T-sheet at Elan Linen online store with the guarantee of lowest price.